With the rollout of EMV and the liability shift in America, online fraud is most assuredly going to escalate as with past nationwide deployments in Canada and Europe. 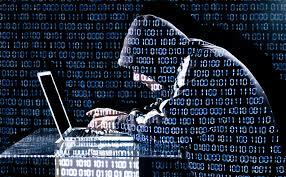 The threat of data breaches grows everyday. 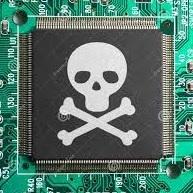 The target systems hackers are successfully breaking into are of ever more seriousness with recent breaches of financial institutions. Consumers need a near frictionless solution to ward off card fraud, account take over fraud and identity theft. Passwords alone are no longer reliable to prevent unauthorized transactions. 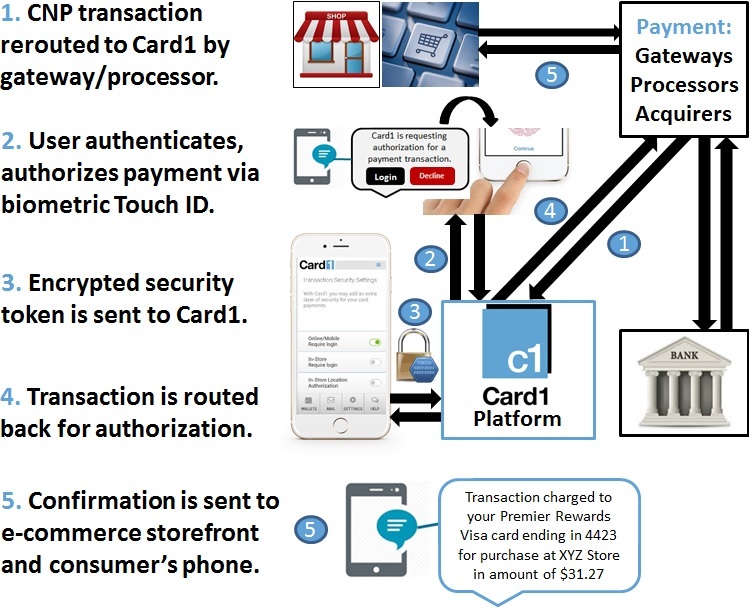 Card1 is here to address these very problems with, scalable, cutting-edge, future-proofed solutions for banks, retailers and consumers. Today now more than ever the mobile phone is truly the key to commerce. Today's mobile phone is now equipped with Touch ID and other biometric tools to enable real-time authentication, without creating a digital copy of the authenticating biometric. 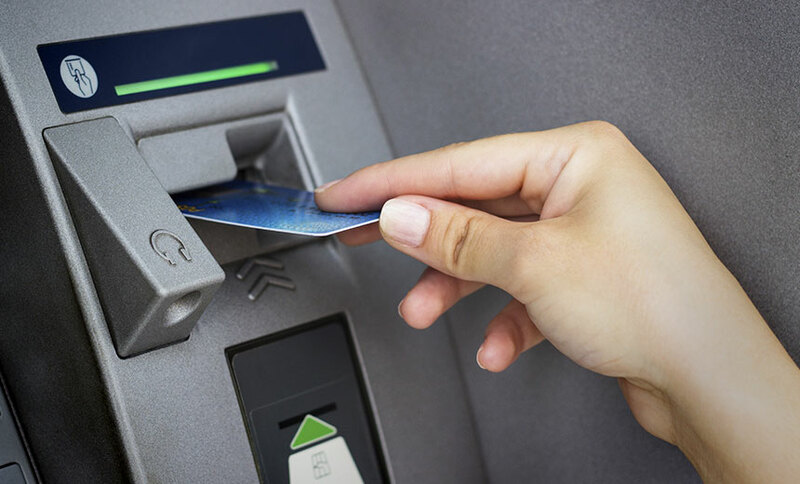 Beyond being used for authentication of consumers in retail commerce, Card1 views biometric mobile authentication being prevalent in use for securing online banking accounts, ATM withdrawls and even as a means to prevent identity theft. There is an unprecendented opportunity to develop a universal solution to protect financial accounts through a single mobile app and platform. Prior to real-time authorizatuion and authentication, authenticating customer identity and their authorized access to use the payment cards or alternative payments methods and pairing it with a device is first performed. This pre-authentication only serves to add validity of biometric authentication for transaction authorizations. It also speeds up transactions. The MAST solution aims to provide the least frictionless checkout experience for consumers. It is best utilized with behavioral analytics tools to maintain the lowest possible shopping cart abandonment rates. Secure ALL your financial transactions w/ mobile, real-time, biometric authentication delivered thru a single platform. Providing an extra layer of security for cardholders gives a peace of mind for shoppers to know their risk of fraud or identity has been reduced to near zero. Why build your own? Plug into our SaaS platform. Banks, alternative payment providers, retailers, gateways, acquirers, processors, card management platform providers and payment networks are invited to join in the development of the MAST technlogy and pilot. Primary retail and financial institution partners shall gain several prime benefits of participating in the pilot, such as reduced time and cost to go to market and reduced fees post pilot. 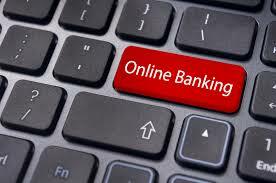 Additional benefits include development of biometric login technology as well. These are proprietary solutions, yet to be unveiled to market. 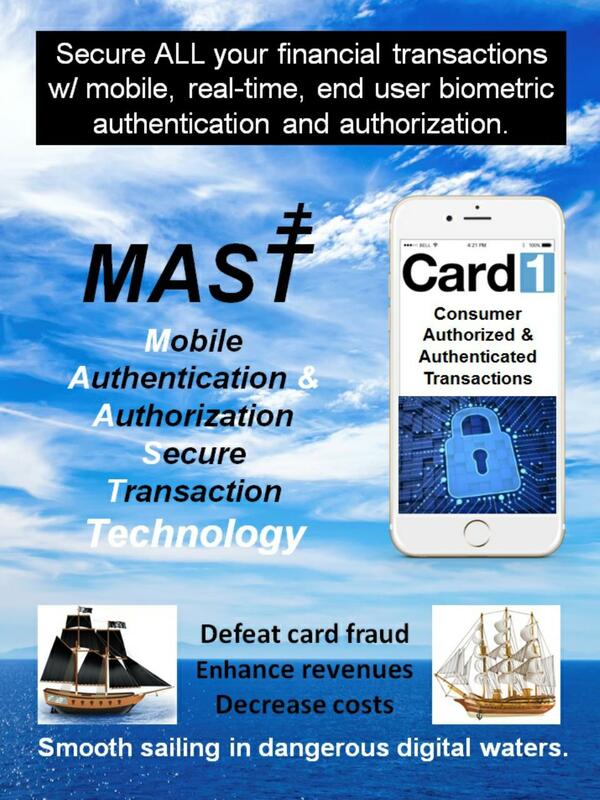 *MAST (Mobile Authention for Secure Transactions) is not related to Card1's universal card linking to digital wallet technology, but utilizes the same mobile authentication technology. Copyright 2015. All rights reserved, Card1, Inc. Founder Randy Smith is the inventor of Card1's technology. In Addition to managing roles of CEO and VP of Marketing, he managed product development from concept to mockups to wireframes to writing of functional specifications to managing of project thru completion. Card1's initial technology platfrom and demo application was developed from concept to completion in less than 90 days for less than $25,000. Beyond what is displayed here, Randy has several other solutions he'd like to deliver to market. Card1 technology is patent-pending. Randy's previous inventions for MobilePayUSA were granted a patent from the USPTO. He is receptive to offers to invest in Card1, to partner to deliver Card1's technologies to market or to acquire rights to Card1 technology as tied to future employment and revenue sharing as a lead innovator and product developer.